Activities to sponsor Oye LENA! Hanne Delfosse starts volunteering in Peru in July. The last couple of months, she has organized several activities to raise money for Oye LENA. 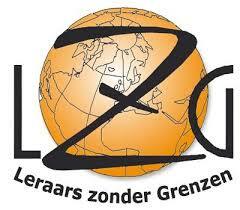 Together with the primary school of Wortegem, she organized a carwash and polished shoes to raise money for Oye LENA. Money-boxes were put in the classrooms and class 1K sold DVD’s. This yielded 509 Euros! But Hanne didn’t stop there. Her aunt also baked and sold pancakes and thus raised 500 Euros! Moreover, she sold Peruvian finger dolls and she went to several shops to ask them to support the project. Hanne raised as much as 1.355 Euros in total! Many thanks to everyone who helped making this happen, to the primary school of Wortegem and of course special thanks to Hanne!